Snap is a social media technology company, known as the creators of the app Snapchat. News & Analysis: Snap Inc. 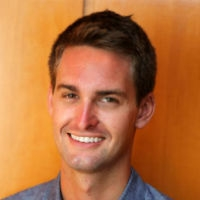 The Fool has written over 500 articles on Snap Inc..
Snapchat's parent company finally comes through in a financial report that isn't the fourth quarter. SNAP earnings call for the period ending March 31, 2019. The company's app improvements fueled more usage and ad revenue in the first quarter. Despite Tencent's new 10% stake in Snap, the Snapchat operator continues to show discouraging results. Investors are backing away from the Snapchat operator as more and more red flags appear. Earlier this month, Snap reported its first quarterly earnings report since its IPO. Investors weren't happy. After its IPO, investors would be wise to let shares of Snap cool off before dipping their toes in. Snap is one of the hottest potential IPOs of 2017. Now that we've had a chance to look at the numbers, should investors keep it on their watch list once shares start trading? Wall Street digests Snap's news yesterday. BTIG Research turns bullish on the Snapchat parent. The Snapchat parent is hoping to roll out an improved Android version this year. The Snapchat parent reported fourth-quarter results, and user metrics appeared to be stabilizing. Even an upgrade from a no-name analyst is good news for Snap. The company is losing the CFO it poached just eight months ago. Jefferies sees a path to profit for Snap -- but doesn't seem convinced it will follow that path. SNAP earnings call for the period ending December 31, 2018. What our community thinks about Snap Inc.
Industry, sector and description for Snap Inc..